I was very proud to support Harebrained Schemes’ latest Kickstarter for a new Hong Kong game, and was confident enough in their ability to deliver that I even upped my pledge from last time. I’ve been obsessively playing since it came out last month - not pulling any all-nighters, but getting in a few good runs every day. Here’s a high-level reaction before I go into spoilers, with an emphasis on the differences from the two earlier entries in the series. Multiple paths to success. 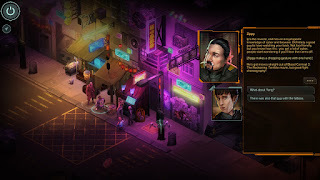 The first two games were very combat-heavy; in Hong Kong, there are multiple runs that can be completed without any killing, and even when pure pacifism isn’t possible, you can usually avoid all but the final fight with careful gameplay and skill usage. Map design. The new environments are wonderfully evocative, beautiful, large. New cyberware, which gives a lot more options for a variety of archetypes and also supports new playstyles. Splitting out new categories (Skin vs. Body and Brain vs. Head) lets you play with more of the great options in those areas. Cyberweapons are amazing. I especially appreciate all of the new bioware, which provides low-essence and no-essence choices for awakened builds. Good expansion of weapons, spells, and skills. 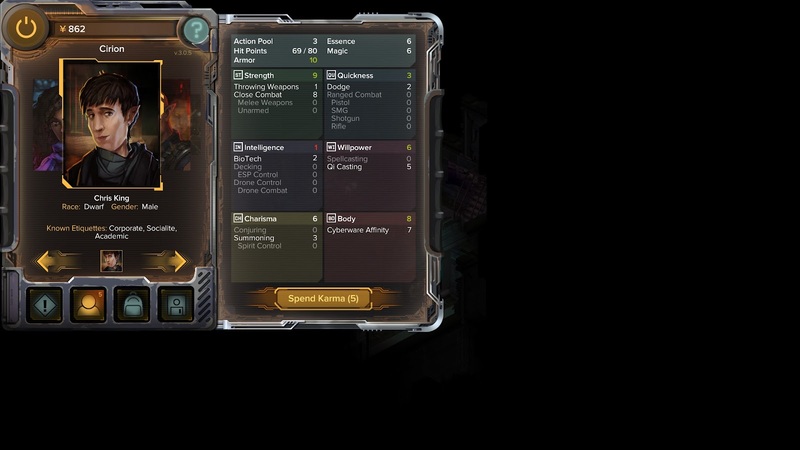 They’re building on the core of Dragonfall, so it’s easy to get oriented if you’ve played the previous game, but also added in enough cool new options to make things interesting and tempt you to try fresh builds. The crew. 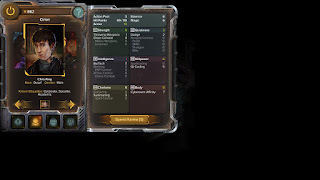 Team progression choices are even better than the ones in Dragonfall, with really unique options that open up creative new playstyles. Wider usage for skill checks. 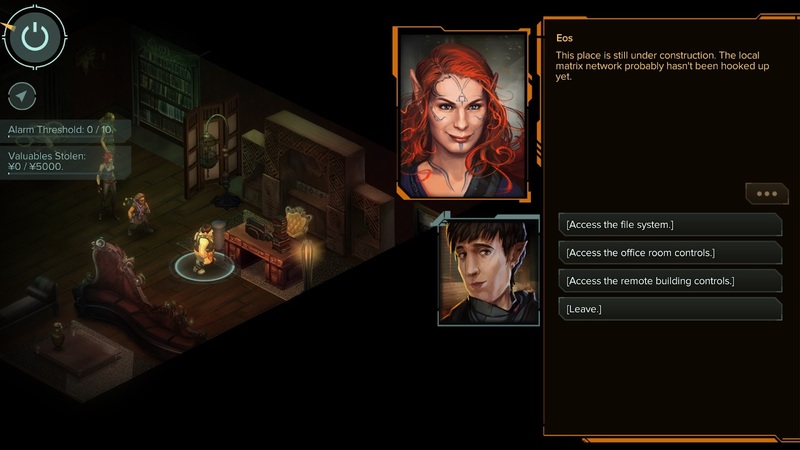 Etiquettes, in particular, are much more useful than they were in Dragonfall. The economy. 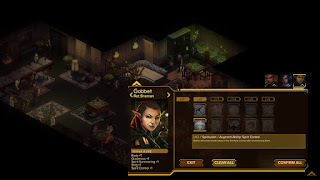 The Shadowrun series has probably the best money curve of any RPG franchise I’ve run across: there’s always something interesting and worthwhile to spend your hard-earned nuyen on, and never a point where you’re left wondering what to do with all your leftovers. A lot of missions! It looks like you could cruise through to the endgame fairly quickly by only taking the required missions, but there’s a lot of purely optional runs that you can take if you want to build up your character further or just enjoy playing the game. TONS of content. I probably spent about an hour during each of my early visits to Heoi, just walking around, talking with citizens, browsing Shadowlands, etc. People who don’t enjoy the story and lore could skip this stuff without missing out on any gameplay benefits - there don’t seem to be karma rewards or anything linked to them - but that was one of the high points of the game for me. Some is tragic, some is fascinating, a lot is laugh-out-loud funny. 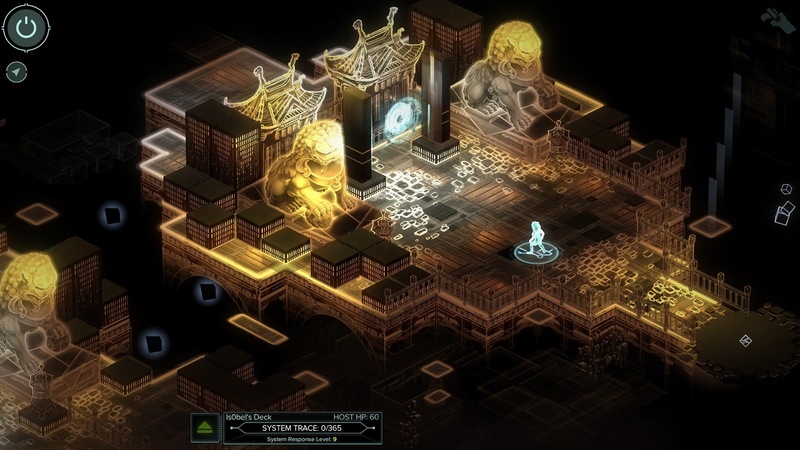 Gameplay in the new matrix. I absolutely love the look, and appreciate the idea behind a stealthy infiltration, but it ended up being pretty frustrating. 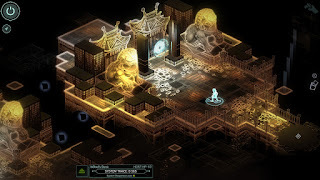 The entire rest of the game is focused on strategy and tactics, where you succeed by thinking through things and executing on plans. The Matrix is the one part that relies on quick reflexes, hand/eye coordination, and twitch reactions. Not to mention the hacking minigame, ugh. I don’t think there’s ever been a good hacking minigame. Ever. Even great titles like Mass Effect, Fallout 3, System Shock 2 and Deus Ex Human Revolution were diminished by their lame minigames, and I don’t know why developers keep trying to make more. It’s rather buggy. I played all games immediately after launch, and HBS has a pretty good track record at fixing most bugs (except those dang freezing IC), so I’m fairly confident they’ll patch most of them up shortly. For comparison, I’d say it’s about as buggy as Returns was at launch, and more buggy than Dragonfall. The vast majority of problems are simple things I could fix myself if I felt motivated to do so: typos, map problems, mis-linked abilities. There are a couple of more serious problems I ran into along the way that required reloading an earlier save or mucking around in the debug console to get past. I played on Hard difficulty as a Dwarf. I initially rolled him as an Adept archetype, but he ended up being more of a heavily-cybered Street Samurai. I only took Chi Casting up to level 4, which gave me Stride and some nice passive defenses. For most of the game, I was pumping Karma into Cyberware Affinity, Strength, Close Combat, and Body. Oh, and Charisma up to level 6 to unlock etiquettes. For most of the game, I used my Hand Razors to tear apart opponents. My role was essentially the same that Glory played in Dragonfall. I would charge into my enemies, bouncing from one foe to the next, trying to get one hit on each person. This would tear apart their armor and flush them out of cover and inflict a bleeding damage-over-time effect. That would soften them up for the rest of the team. Furthermore, I could damage AP on hits, and if I was lucky with criticals I might even knock out some foes for an entire round. Later in the game, I supplemented my razors with a few other melee abilities. There's a "shock glove" you can pick up which can completely stun a single enemy once per turn; that was really helpful to even the odds when we were outnumbered. Also, after I had completely stripped away all of our opponents' armor, I would often switch over to Killing Hands to finish them off, since it does more raw damage than the razors. On the etiquette front, I picked up Academic, Socialite, and Corporate, and was very happy with the results. There are a lot more uses for etiquettes in Hong Kong than in either of the first two games. They aren't all applied equally, though, There were a ton of options for Academic, and I was really happy to have it, but in practice it seems to just unlock additional lore; it doesn't actually have any impact on gameplay. Socialite wasn't used very widely, but had some great flavor and provided peaceful solutions to a couple of situations. As in the previous games, Corporate isn't very useful at first, but late in the game it can be very helpful when infiltrating centers of business. One of my favorite improvements in Hong Kong is the Cyberware Affinity skill, which grants you a few extra Essence points. I was judicious in my use of cyberware, but managed to pick up a good assortment of stuff while still keeping my (few) cooldowns low. If there was more nuyen in the game, I would have been tempted to go full-cyber... it's pretty rare that I'll be able to invoke something like Stride multiple times in a single encounter, even with full Essence. 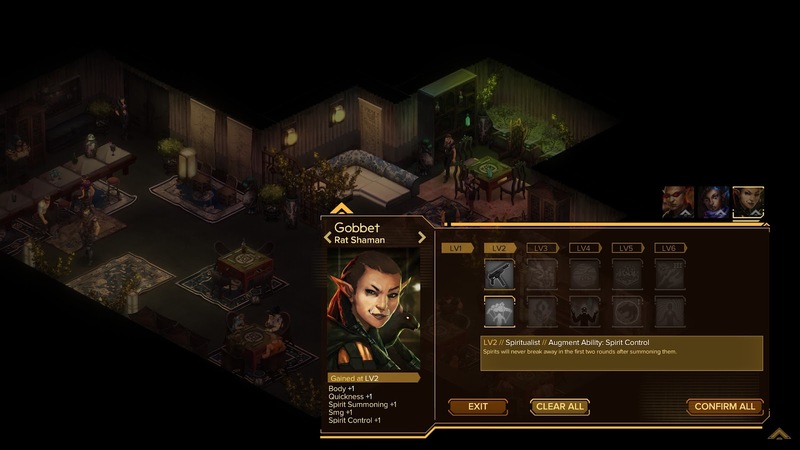 I brought Gobbet and Is0bel along on pretty much every mission. Support shamans are always handy, and Gobbet's Haste helped Cirion be more effective in the opening rounds. I needed Is0bel for decking, but was pleasantly surprised at what a good ranged fighter she turned out to be. Her grenade launcher is awesome, and she would often get the best total damage out of anyone on the team. The third party slot would rotate around based on who seemed most appropriate for the mission. Duncan was usually my first choice for the third slot. I almost always used him as a ranged fighter; after Cirion had prepared the enemies, Duncan could often put one or two down on the first round. My typical sequence would be: Isobel softens everyone up with two AOE blasts of her grenade launcher; Gobbet hastes Cirion; Cirion rushes in and strips armor; Duncan finishes off the most-damaged enemies who are still conscious. I probably used Rachter the least, although I did think his drone mechanics were really interesting. Gaichu was a solid teammate, but pretty much anything that he could do Cirion could do better, so I only brought him along if I thought there were good story reasons to do so or if I was pretty sure it would be an easy run. I think I got a good ending. I'd worked with Crafty throughout the game to get more knowledge about the Yama Kings and how they work. After rescuing Raymond from Josephine's operation, we confronted the Big Bad. I defeated her first two incarnations, then negotiated with her for Kowloon's salvation. I threatened to have Raymond tear open the portal to the outer world; she attempted to call my bluff, but was sufficiently unnerved by the possibility to negotiate favorable terms for her departure. I shut her down, stating that since she was accepting the possibility, she had already lost. She left in a huff, but Kowloon was saved and Josephine's empire soon crumbled. I love that you were able to complete the final boss fight through dialogue. It strongly reminded me of the climax of Planescape: Torment, which is a Very Good Thing. Yup! This is A Good Game. I almost never replay video games these days, but Hong Kong is more tempting than most, thanks to the huge array of playstyles supported and the myriad paths through the game. 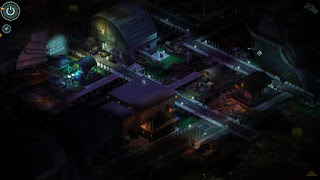 I'm especially looking forward to the release of the promised mini-campaign: it was initially intended for late 2015, but they're currently targeting early 2016, which is fine by me. You can't overstate how cool it is that Harebrained Schemes managed to deliver a fantastic Kickstarted game on time. Video game kickstarters are notorious for running late, or failing to deliver at all. HBS's experience with this style of production, coupled with their transparency and close relationship to their fans, has been a huge help in distinguishing themselves from the crowd. 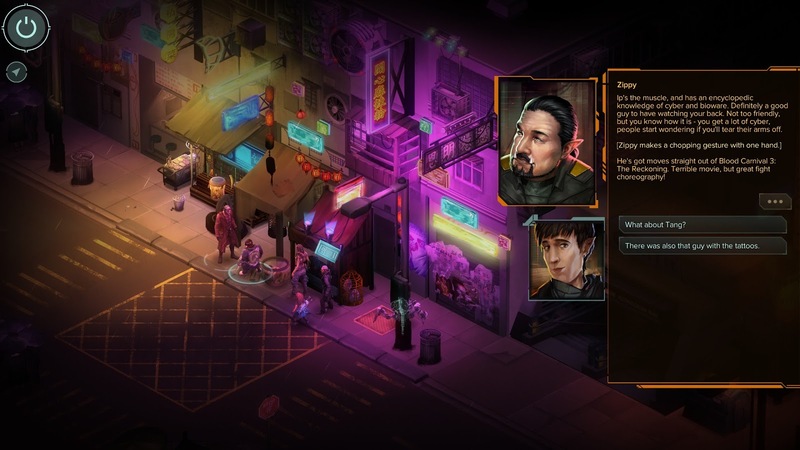 There's no word yet on future Shadowrun projects from them, but I imagine that as long as they feel like making these games, they'll find a steadily growing group of fans ready to support their efforts. Oh! Before I forget - following the ancient traditions, I took a large number of screenshots while playing the game and have assembled them into an album. There's a lot of spoilers in there, and more comments on my thoughts about the game and its plot. Enjoy! Or don't!